Use this link to log in to administrator dashboard https://strategicmarketingarts.com//wp-admin . 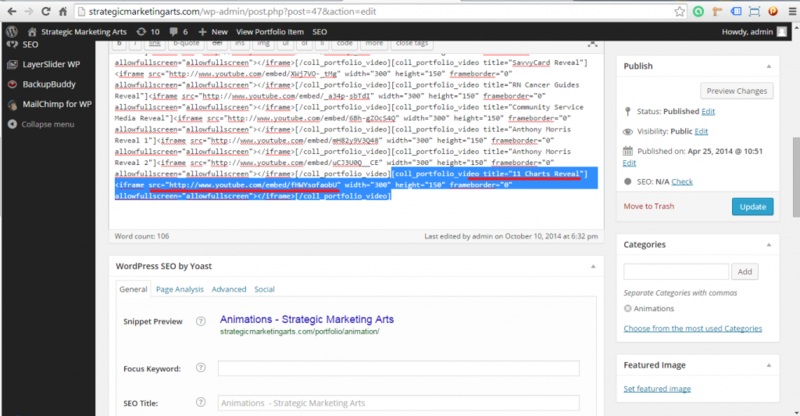 Enter post title, check off category in which post is to be published and add featured image. 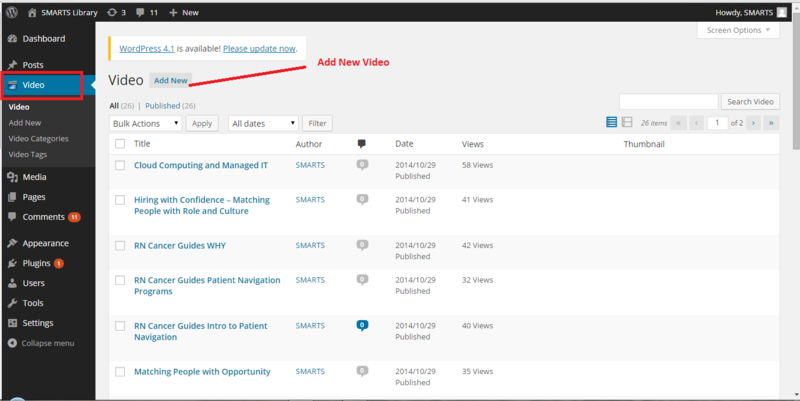 Within the post content you can add additional photos and embed videos (you tube, vimeo or other). 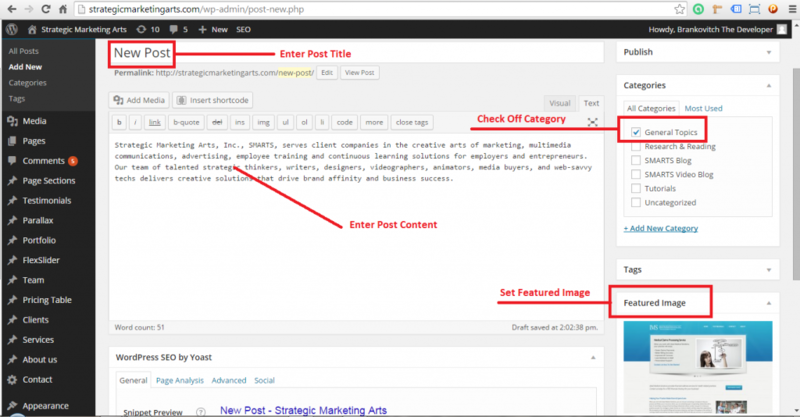 Click Publish to make post public. 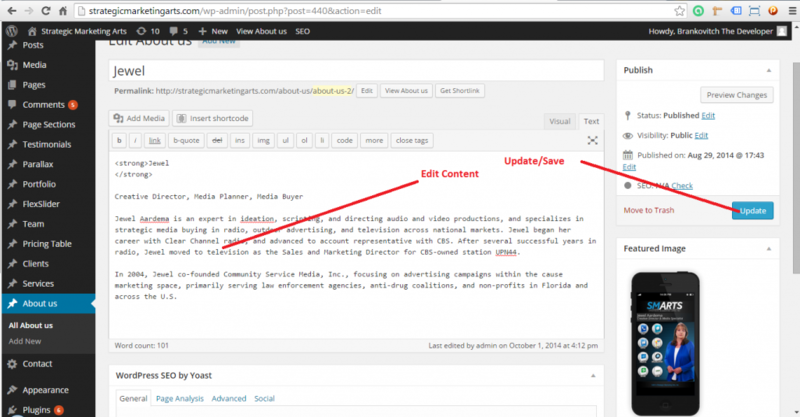 New Post will appear on Blog page. Make changes to post content/featured image and click update to save changes. You are done. Click on parallax background you want to change. Make changes to video source. Click Update. You are done. Navigate to this link to log in to administrator dashboard. 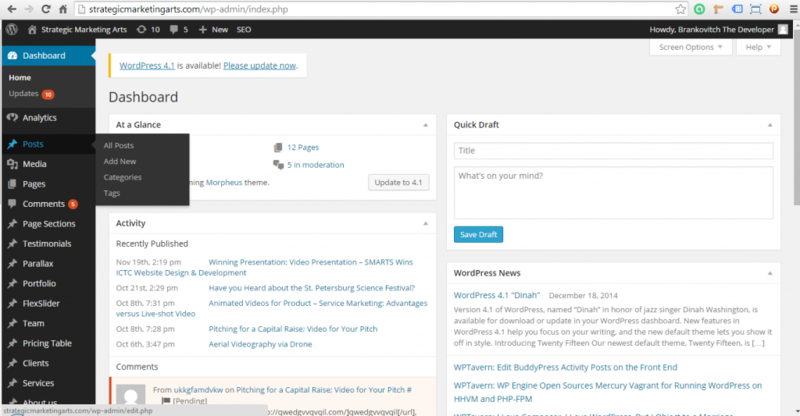 Please note that this is different dashboard then the main website. Once you’re logged in, you will land on administrator dashboard page. 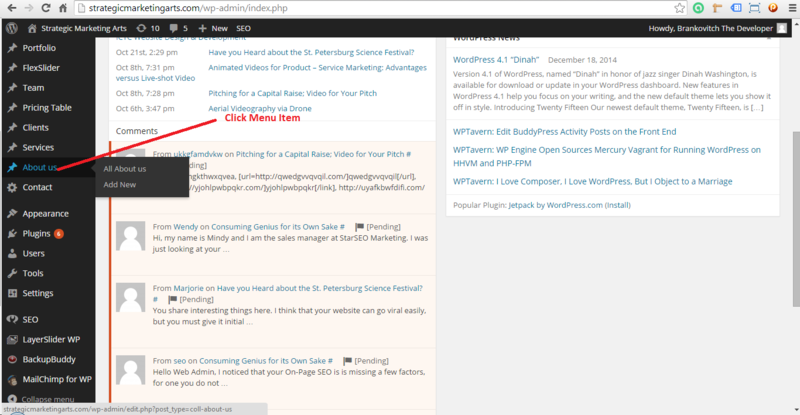 From left sidebar navigation menu click Video menu item. 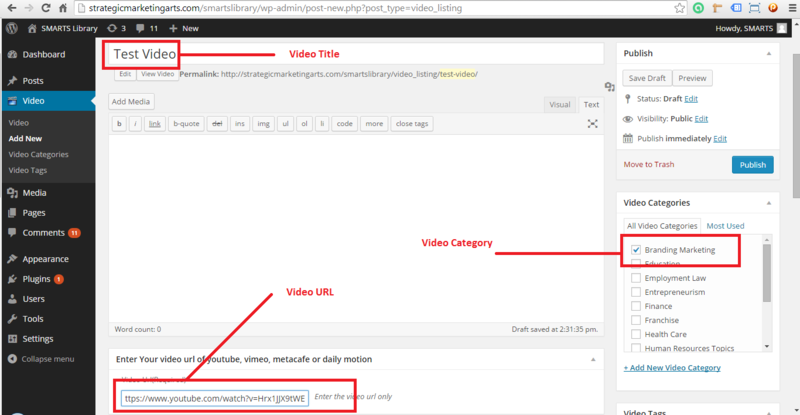 You will land on Video custom post page. 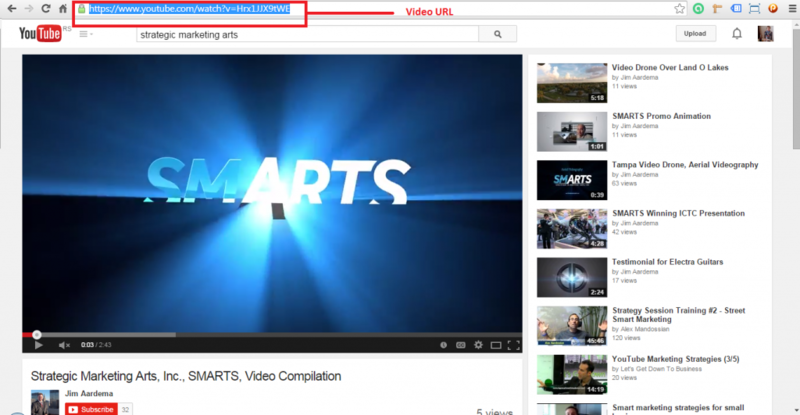 Click Add New button to add video to library. 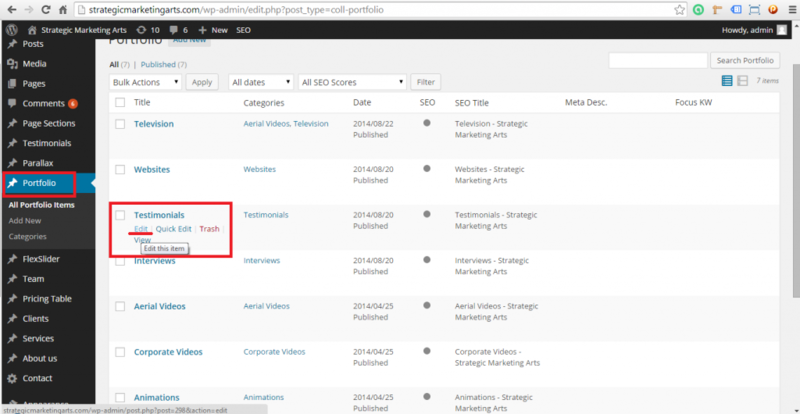 Once you enter all parameters mentioned above, click Publish. 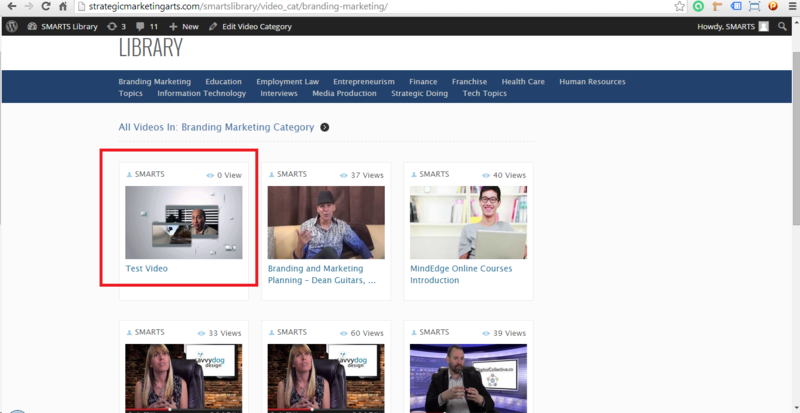 New video will appear in category. 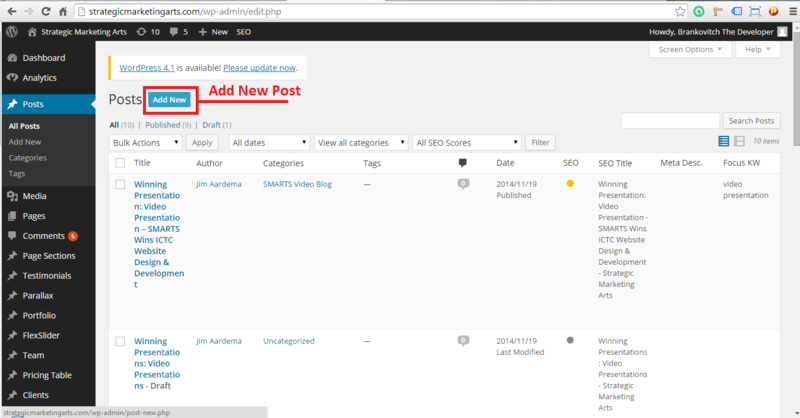 You will land on custom post page, and you will see repeated shortcode pattern. You need to copy shortcode (selected in blue background) and paste it next to last shortcode part. 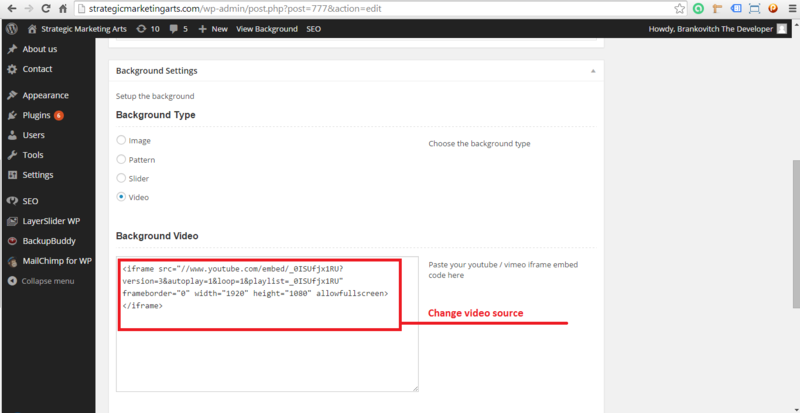 Change video source url and video title (underlined in red). Click Update button and you are done.